It’s a Pee Wee menagerie! Cats or dogs? Earthworms or frogs? 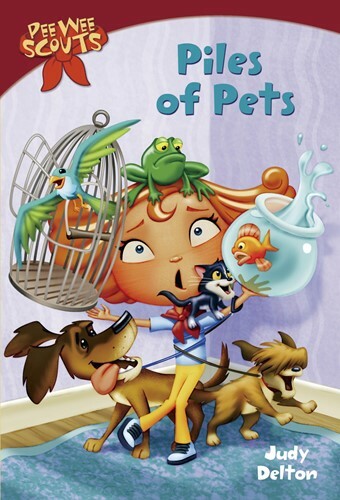 What animal makes the best pet? The Pee Wee Scouts can’t agree. But they know how to find out who has the fastest pet. They will have a race! Molly doesn’t have a pet of her own. But she does have an idea. She will take care of stray animals and help them find good homes. Soon Molly’s home is full of pets. Which animal will Molly choose for the big race? And will she find homes for them . . . even if she wants to keep one for herself? From the Trade Paperback edition.